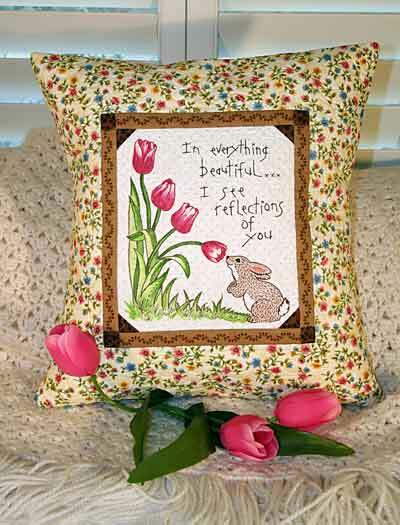 If you’re reading this, you must be a lot like me - a creative soul having an intense desire to work with your hands. 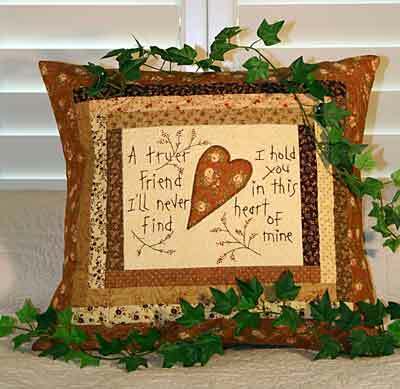 We prefer to make the gifts we give, rather than make a trip to the mall. 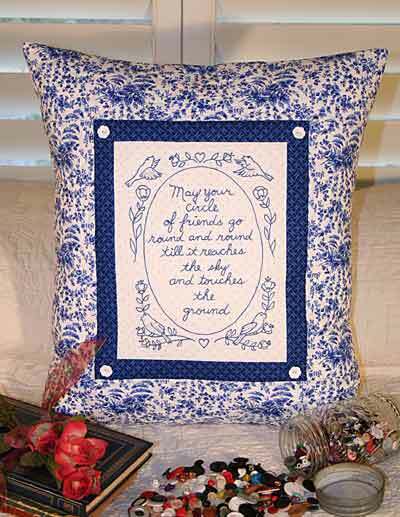 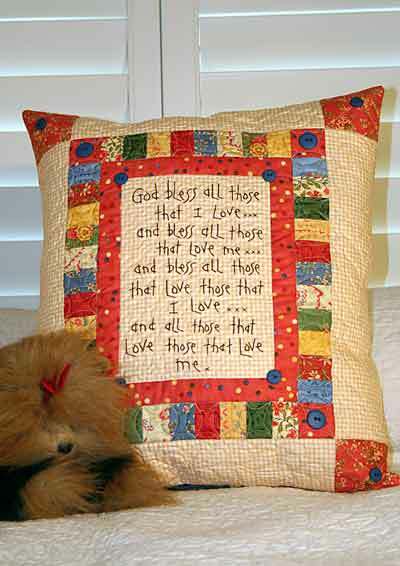 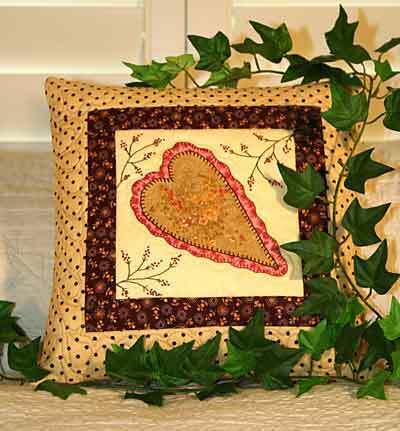 Quilted pillows with sentimental messages seem to touch the hearts of my loved ones every single time. 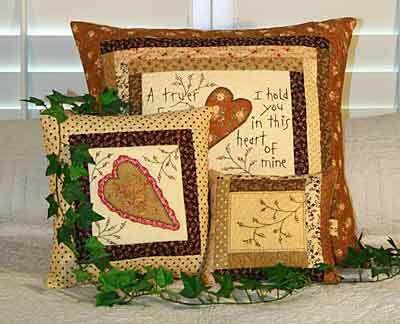 Our daughter, Michelle, keeps an assortment of my handmade pillows on her bed. 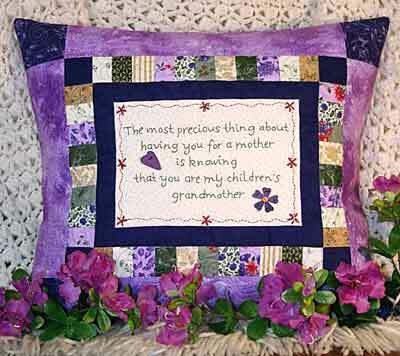 It blesses my heart to know she holds those pillows each morning as she makes her bed and is reminded of how precious she is to me. 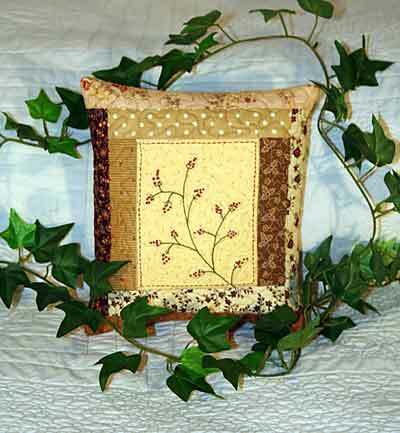 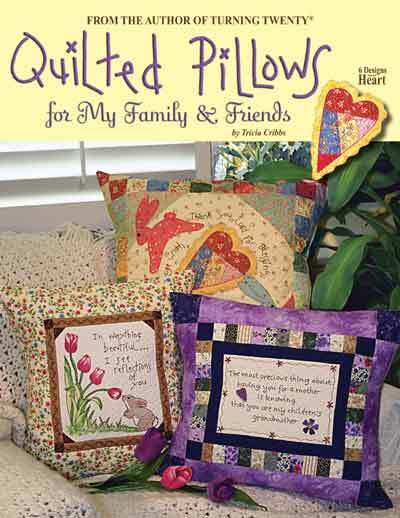 This book contains 8 pillow designs - all of them are quick to make & impressive when completed. 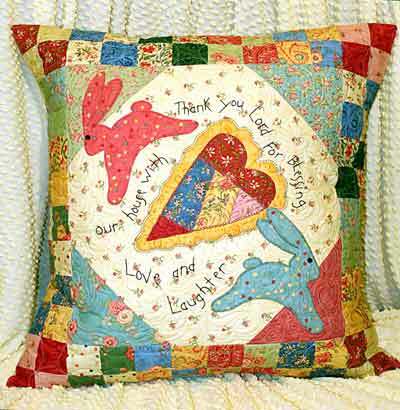 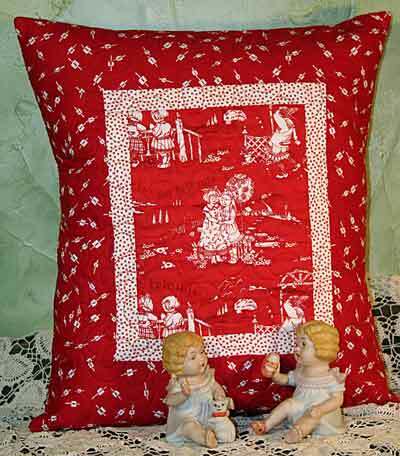 I hope they inspire you to make Quilted Pillows for your Family & Friends!